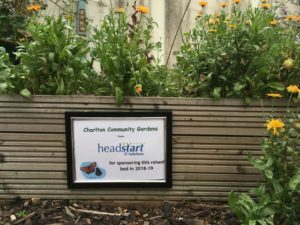 have sponsored us. Thank you very, very much. 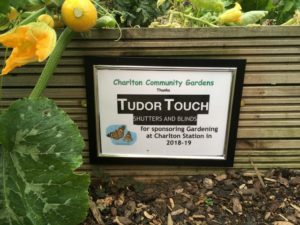 This will allow us to keep up our standards (see our post about London on Bloom awards). The new notices have been on the beds since September 18. We have a spare, unsponsored bed. 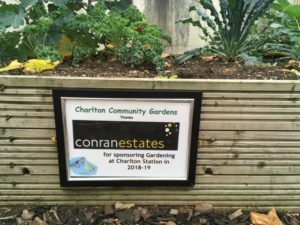 So if you are local and would like your company name on a raised bed at Charlton Station, please get in contact and for the sum of £100 you too can support Charlton Community Gardens. See details about our sponsors in the “our sponsors” section of the web site.